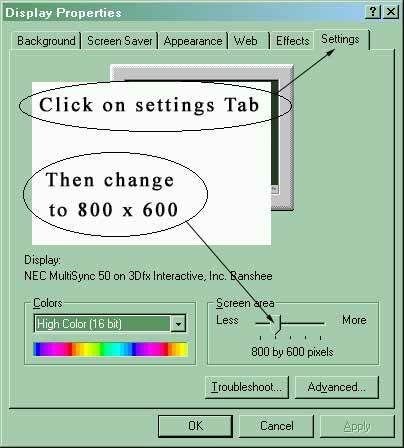 This Web Site is best viewed with 800 X 600 resolution, if you are using 640 X 480 some of the charts and tables will be difficult to see. 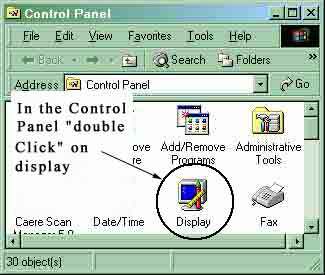 Therefore if you want to quickly change the resolution, follow the instructions below. 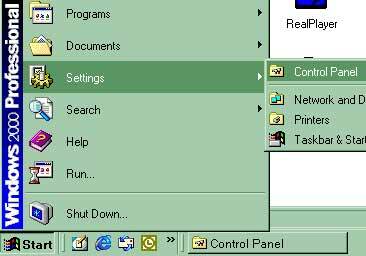 These setting are the same for windows NT, WINDOWS 95,98,2000.